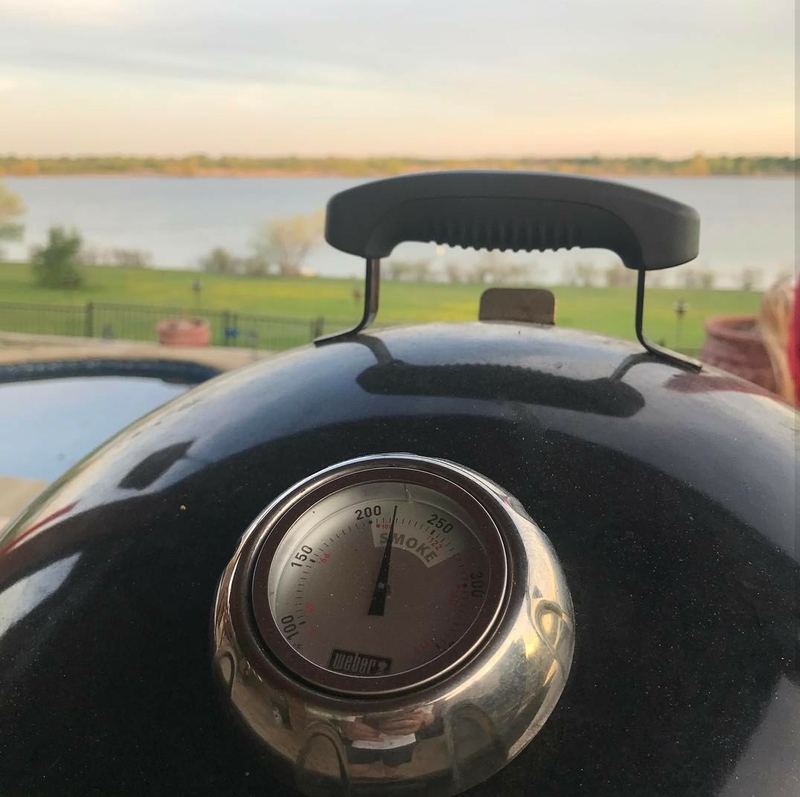 When I first received my Weber Smokey Mountain cooker, I posted about it on a page on Facebook, excitedly writing about my enthusiasm for my first smoke on the ol’ “WSM”. A few comments were from people saying to season it to “get remove any of the manufacturing materials inside”. Every day or so, I see people on the same Weber Smokey Mountain page asking about what food to use to season the smoker with, and there are guys and gals wasting a chimney or two of charcoal to season their new smoker. I even saw one guy asking what food to season his smoker with, and that he’s only going to throw the food away when it’s done. What a waste of food and a time smoking! My first smoke on my Weber Smokey Mountain was two racks of baby back ribs (pork loin back ribs), a bacon-wrapped pork loin, a medium sized tube of bologna and a family pack of chicken thighs. That is how you season a Weber Smokey Mountain for the first time. Each and every bit of the food was consumed rather than thrown out and wasted. Oh, and the manufacture residue? It’s going to be burned off and replaced with grease during your first cook, anyhow. Bottom line: The idea that you have to run a quick smoke session with charcoal to “season” you or “burn off the manufacture residue” of your Weber Smokey Mountain cooker is complete hearsay and a myth. If you want to, then by all means do it, but at least eat the food you ‘season’ it with or accept that you are wasting charcoal if you are running a load without food. There is no reason to season. Repeat after me: “with my new Weber Smokey Mountain, there is no reason to season”. You’ll develop a natural seasoning in your smoker over time… y’know, by smoking food that you will eat and not wasting charcoal.